Applications must be received by September 1st of each year and the recipient(s) will be announced at the fall meeting of the Florida Ornithological Society. For questions concerning the Cruickshank Education Award, please contact the Committee Chairman. His interest began at the age of 10. He was on his way to West 23d Street to get a newspaper for his mother when he spotted a strange bird—clearly not a pigeon, English sparrow or starling—perched low on a willow tree near Eighth Avenue. Excited by the experience, the boy started going uptown to look for birds in Central Park. And when his family moved to the Bronx, then largely rural, he was ecstatic over the specimens he found in woodlands, gardens and orchards. It has been said of Mr. Cruickshank that he had “flown, climbed (and fallen), crawled and ridden into almost every corner of North Americt” to study wildlife in its native habitat. He was born in St. Thomas, the Virgin Islands, on Aug. 29, 1907, to a Scottish father and a French mother; came to this country at the age of 2 and lived mostly in and around this city. 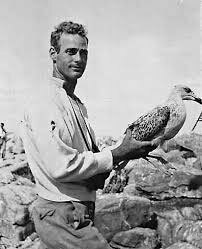 Mr. Cruickshank, who attended New York University, was former president of the Linnaean Society of New York, and a member of the Wilson Ornithological Club, the Nature Conservancy, the Wilderness Society and the Izaak Walton, League, among others. Helen Cruickshank authored, co-authored, or edited 12 books about birds. 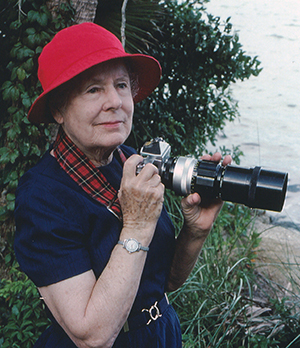 She won the John Burroughs Medal in 1949 for "Flight Into Sunshine," a book about the challenges and joys of a trip to Florida with her husband Allan to photograph birds in their habitats. She also won the Oppenheimer Award for best Texas book of the year in 1968 for "A Paradise of Birds." Brevard County honored both of the Cruickshanks by establishing a 140-acre sanctuary in Rockledge, Florida.